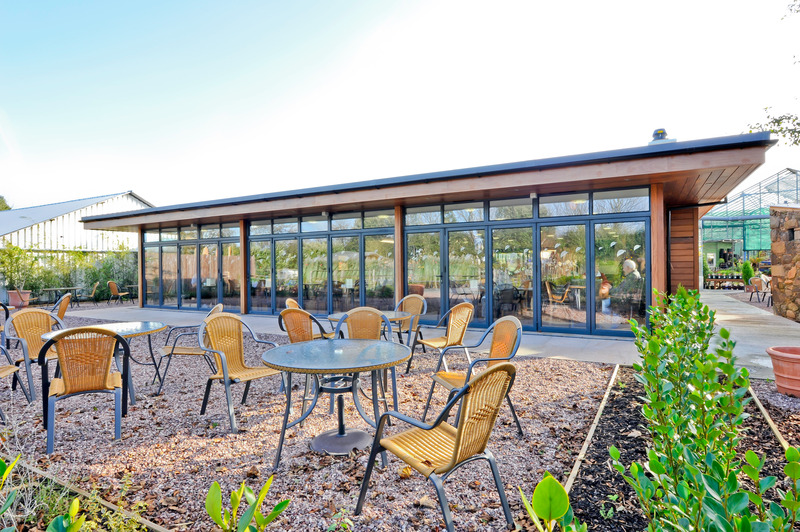 Winner of the Peoples Choice at the Guernsey Design Awards 2012, this design provided a new build single storey café connected to the existing Garden Centre. The form is simple with large areas of glazing incorporating horizontal Iroko cladding. A large open fireplace provides a cosy environment to relax with bi-folding doors opening out to the large terraces in the summer.